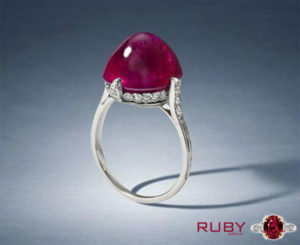 Ruby gemstone is known for its amazing appeal and everlasting charm. Fora long time now, this gemstone has been associated with exquisiteness and royalty. The beautiful red color of the gemstone depicts life and passion. With mystical powers that make the gem absolutely alluring and powerful for the wearer, this gemstone is associated with the Sun, which is known to be the king of the zodiac. The nurturer and the vital energy provider, the Sun provides the much-needed support to the self. The stunning crimson hues of a natural ruby gemstone make it a fashion statement and a preferred choice of those who opt for nothing else but luxury. 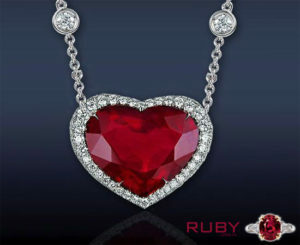 Symbolizing true love and fortune, the ruby stone is believed to boost the trust factor in relationships. 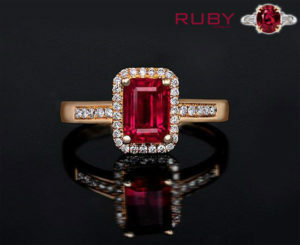 This is the reason why ruby has become a widely demanded gemstone as a wedding and engagement jewel. 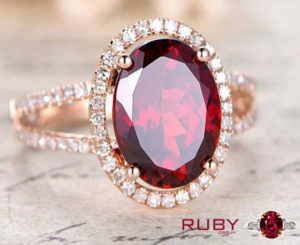 Let’s take a look at some of the rising trends for ruby rings and pendants for this year. 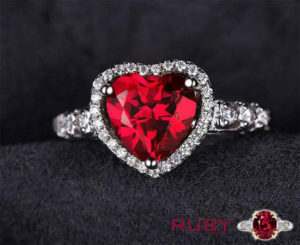 For every hopeless romantic woman out there, having a piece of heart-shaped jewelry is a must. A look that never goes out of trend and that’s gorgeous to the core – heart shape ruby makes a perfect choice for rings and pendants. 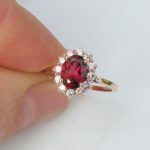 The trend is in great demand these days, and jewelry designers are busy crafting the perfect heart-shaped ruby gemstones to adorn rings, pendants and even bracelets with their splendor. When it comes to choosing the right metal for creating a heart shape ring or pendant, then gold and sterling silver make good choices. 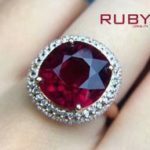 One of the greatest possessions of a gem lover would be a natural cabochon cut ruby stone that makes any piece of jewelry absolutely incredible. 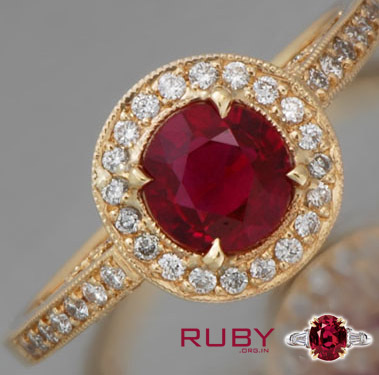 From ruby stone pendants, necklaces to rings, this style of ruby gemstone, when paired with diamonds make an impressive trend for others to follow. A perfect choice for engagement and wedding jewelry, these rubies are a must-have if you are looking for something out of the ordinary. 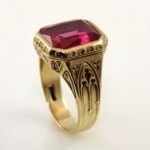 The perfect companion of eternal love, the oval cut ruby stone rings are in great demand these days. You can easily find a wide range of designs in this particular style. Complement the gorgeous red ruby stone with small diamonds to get a truly wonderful looking ring that boasts of a deep red hue and white accents to give an elite look to the wearer. Crafted for excellence and to deliver a true look of elegance, this pendant style is a timeless classic whose beauty will never fade. When you wear a ruby and diamonds pendant on your engagement or wedding day, you are sure to be the envy of the onlookers. An amazing design for those who are in need of something exclusive, this pendant will keep everyone mesmerized with its panache and radiance. 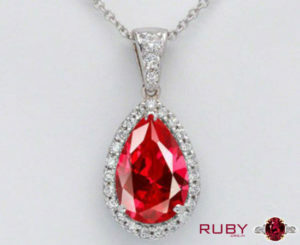 The unique pear cut of the ruby will make it an ideal pendant to have in your jewelry collection. Another elegant yet equally everlasting option for ruby rings and pendants is the emerald cut ruby and diamond halo design. A band of white diamonds when surrounding an emerald shape ruby, it not just looks exclusive but also becomes a truly precious gift for any jewelry fan. Not just a wedding or engagement ring, one can also gift it to the woman they love as an anniversary or birthday gift. After all, it’s all about celebrating love and togetherness – so, why not do it with a trendy design that’s crafted with the same care and perfection!